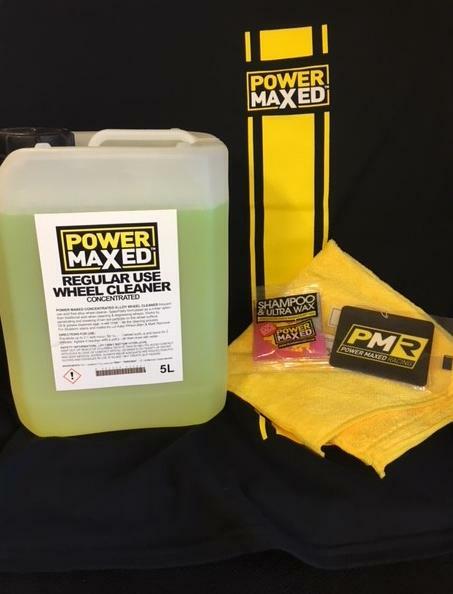 Power Maxed Non Acidic Alloy Wheel Cleaner 5 litre + Free Complimentary Micro fibre Cloth and Shampoo & Ultra Wax Sachet. 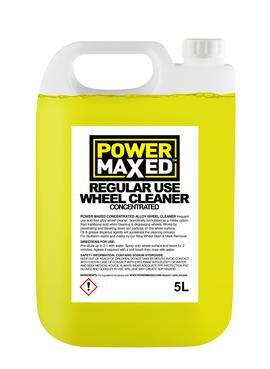 Power Maxed Frequent Use Non Acid Wheel Cleaner has been specifically formulated in conjunction with some of the world's best race teams as a milder option than traditional acid when cleaning and degreasing wheels. Frequent Use Non Acid Wheel Cleaner works by penetrating and breaking down soil particles on the wheel surface. Oil and grease dispersal properties will accelerate the cleaning process.